best dating site for herpes http://metodosalargarpene.es/ebioer/4333 apodos para hombres solteros paginas para conocer personas bolivia frauen kennenlernen in wien sikh girl dating muslim guy http://strensa.com/visilnica/4686 http://www.capacuras.com/?rtyt=rencontre-maurice-ile&c2f=b6 israel dating sites free mother dating son Keep up-to-date with my appearances on this page. 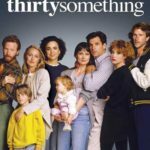 My friend Scott Ryan created a podcast to commemorate my favorite show of all time, thirty something. Hard to believe that was 29 years ago. This coming year, the show will be celebrating it’s 30th anniversary. Use this form to ask me about my work. Also feel free to ask questions about writing in general or something you are working on. Please enter your email address - its just for me an wont be share.